INDIANAPOLIS, Ind. - The Grand Council and the GC’s Board Development Committee are pleased to announce the following Fraters as the two At-Large Grand Council members, the Collegiate Advisory Chairman and the Grand Council’s Judiciary Committee Chairman. Frater Brian Montgomery is an initiate of Gamma-Upsilon Chapter at the University of Texas - Austin and is a graduate of the University of Houston where he received his Bachelors of Arts in Political Science. Since 1980, Frater Montgomery presents an extensive background in communications, public relations, and executive management. 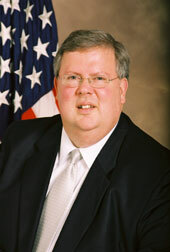 Brian served in the White House as Deputy Assistant for Advance for President George W. Bush from 2001-03 and as Cabinet Secretary from 2003-05. Brian was then nominated and confirmed as the Assistant Secretary for Housing and the Federal Housing Commissioner for the US Dept of Housing and Urban Development from 2005-09. Currently, he is Vice Chairman and Partner at the Collingwood Group in Washington DC and serves on many national and international boards. Frater Montgomery’s extensive experience in national housing initiatives lends an incredible resource for the Grand Council’s initiatives. Frater Dr. Gregory Geoffroy is an initiate of the Alpha-Chi Chapter at the University of Louisville. Greg earned his BS with honors from the University of Louisville in 1968. He served as an officer in the US Navy from 1969 to 1970 and then earned his Ph.D. in chemistry in 1974 from the California Institute of Technology. He began his academic career as an assistant professor of chemistry at the Pennsylvania State University in 1974. He was appointed head of the Dept of Chemistry in 1988 and dean of the Eberly College of Science in 1989. 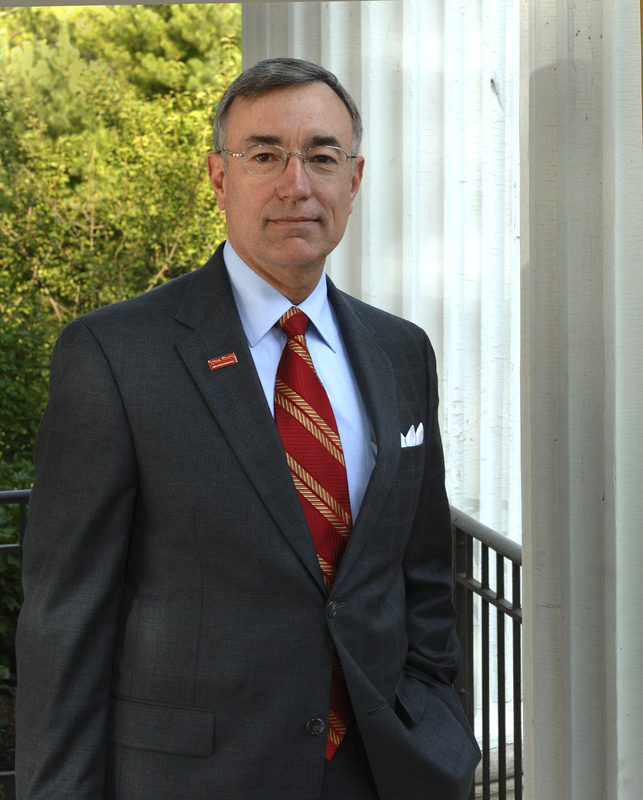 In 1997, Greg was appointed senior vice president for academic affairs and provost at the University of Maryland, where he served as interim president for two months in 1998. Frater Greg became president of Iowa State University in 2001, overseeing two strategic plans, while also holding the rank of professor of chemistry. He has announced his retirement effective no later than July 1, 2012. At the 2011 Conclave, Frater Greg was inducted into the Circle of Excellence. Frater Sean Finn of Tau-Omega (Carleton University) was selected as the Collegiate Advisory Committee Chairman, making him an at-large Grand Council Member. He has served as Recruitment Chairman, Grammateus, Epiprytanis and a committee member of the Collegiate Advisory Committee. Frater Sean is also a graduate of Leadership Academy XXIV. Sean stays involved on the Carleton University campus serving in various leadership positions both with the Student Government and Administration. Most recently, Sean served as the undergraduate intern to the Dean of Student Affairs. He also serves as a representative on Carleton’s Greek Council as well as Volunteer Chairman for the Ottawa area Halloween and Charity Balls. Frater Ryan Vescio received his Juris Doctorate in Law from the Nova Southeastern University in Davie Florida in 2005 and completed his bachelors of art degree in political science from the University of Central Florida in 2002. Between 2002 and 2005 Frater Ryan clerked for the 15th Judicial Court for Florida’s Office of the State Attorney, the Appellate Division, and the 9th Judicial Circuit where his case load has focused on a wide range of disciplines. Since 2005, he has served as Assistant State Attorney for the 9th Judicial Circuit where his attention has focused on government accountability/career crimes and political corruption, and violent crimes prosecution. Frater Ryan has recently announced he is a candidate for elected office in which he will seek the position of District Attorney for Orange and Osceola Counties in Florida. Frater Ryan is an initiate of the Xi-Iota Chapter at the University of Central Florida, has been recognized as an outstanding servant to our fraternity having served as an Advisor, Province Advisor, Grand Province Advisor and most recently as a Justice on our Grand Court. Founded January 10, 1899 at Illinois Wesleyan University, Tau Kappa Epsilon is the world’s largest social fraternity with chapters on 291 campuses in the United States and Canada. TKE has initiated more than 265,000 men since its founding. The Fraternity aims to build Better Men for a Better World.